GUEST BLOG: Gianluca De Gennaro recently completed my 100-hour Reiki internship program on the general surgery floor of Beth Israel Medical Center in New York City. He offers his reflections to us. Some of the patients were in great pain. Sometimes I found them curled up in their beds in tears. After my introduction, they often responded with their own version of “Anything, I will try anything, please help me.” It was gratifying to be of service, to roll up my sleeves, wash my hands, raise the bed, and offer treatment, eyes open, observing the patient’s every movement, to ensure their well-being and safety. After their session, most patients expressed some immediate benefit from the Reiki treatment. However, I would go home feeling different levels of sadness and anger, often thinking, “So much suffering and so little I could do.” Then I would try to focus on the words, “Today only, do not anger.” I would be calmer, but still catch myself thinking about the patients and feeling their pain. I thought this was part of being committed to my intense work, and a normal reaction for a sensitive, compassionate person (me) to have. As the weeks passed by, I developed a helpful new routine. Whenever I felt worried or uneasy around a particular patient, I took a few minutes between sessions to sit and give myself a brief Reiki treatment. Enjoying the contours of the city out the hospital window, often focusing on the Chrysler Building or the Empire State Building, I reminded myself, “Today only, do not worry” and breathed deeply and slowly. I soon felt calmer, more centered and ready to approach the next patient with a smile. Only towards the end of the internship did I start to realize that being detached is very different than being desensitized. I always felt warmth and tenderness for the patients I encountered, regardless of their condition or their interest in a Reiki session. The difference was that I no longer took it on myself. For those who accepted a treatment, I stayed present and focused on what I was doing. I knew it would bring them relief. I had no doubt that the Reiki treatment would help them, even if they didn’t recognize it. For those who refused, I accepted that Reiki treatment is not for everybody. I was happy to bring the beneficial effect of Reiki healing to the patients and grateful to have developed the skills needed to work in a conventional health care setting. However, the most valuable learning from this experience was—unexpectedly—not about that, but rather about me, my relationship with my own Reiki practice, and my work as a professional Reiki practitioner. Most important, I gained a deeper understanding of detachment, compassion, and boundaries. My awareness of how often I’ve mistaken being sensitive, emotional and sympathetic with being compassionate continues to grow and expand. By contemplating my experiences during the internship, I realized that detachment does not mean being uncaring or unloving; instead, detachment freed my willingness to offer only the support that is appropriate to my role in any given situation, and to let go of any other attachments and agendas. I learned the importance of setting boundaries in order to take care of myself, which in turn allows me to take care of others. And a great ripple effect was that I could start incorporating these valuable lessons into my personal life. Want to stay connected? Join my email list here. Are you looking for an online training that teaches you how to bring Reiki into hospitals and other health care settings? The Introduction to Medical Reiki Webinar will give you skills and strategies to get you started in health care. 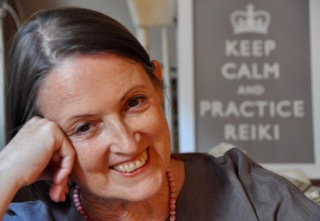 Let’s get Reiki where it is needed, and raise the professionalism of our practice. Click here to learn more. Thank you for writing so articulately and clearly about your insights into self-care. I found these reflections very helpful. I remember receiving a short Reiki treatment from you at a recent clinic at the JCC, and noticing that you were very centered and relaxed while treating me. Now I understand how self-treatment has helped you achieve this calming and stable state. 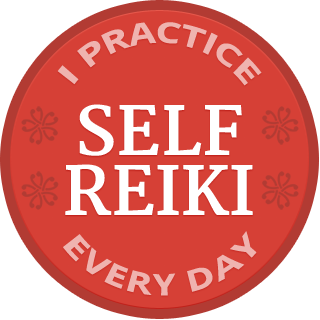 I hope you will continue to write about your experiences as a Reiki practitioner and contribute to this blog from time to time! I just want to thank you for what you shared here. As another caring and compassionate person, I can really relate to your experiences with the patients you treated. It took me a lot longer to figure out that self-care was the solution!